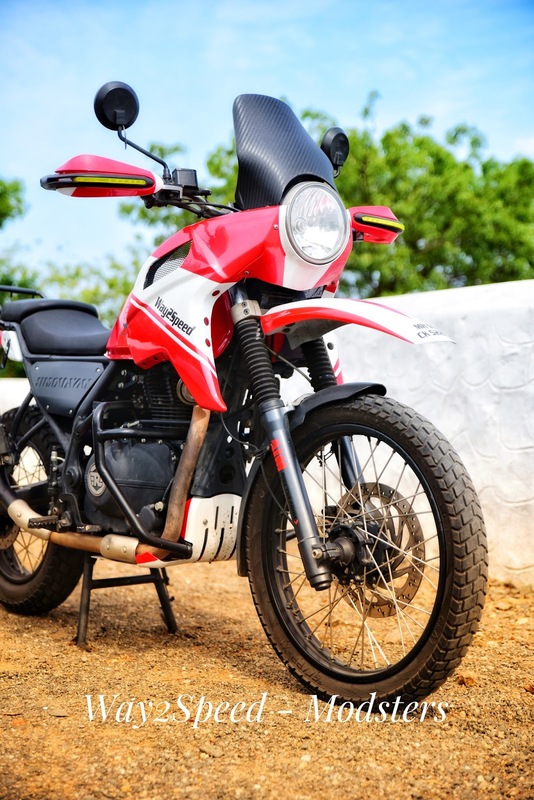 When we talk about "Royal Enfield Himalayan" first thing we think of is off roading , But we forget to realize the other aspects of it , Its a beautiful purpose built motorcycle, Royal Enfield Himalayan is good Dual sport motorcycle which performs well on road and off road. 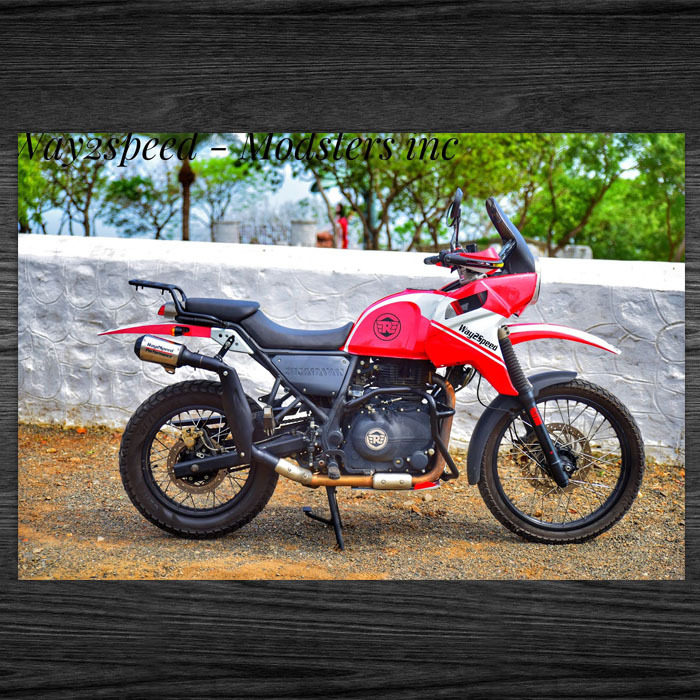 Custom Royal Enfield Himalayan Dual sport would be a beautiful choice. We decided to name the bike "EL Diablo"
when we started the project we had a beautiful muscled stock Himalayan un-touched, We at way2speed and Modsters used our diversified experience in building custom cars and bikes used our key resources and time to develop something unique but one thing we made clear in our minds that what ever we do we shouldn't disturb the design integrity of Royal Enfield Himalayan and the kit has to be a plug and play, and you can dismantle it to stock condition any time you want. It took approximately 300+ man hours to sculpt this beauty . one may ask why add weight to the bike, well in our defense everyone knows aerodynamics can improve performance . we have done so many aerodynamic trials and calculations before finalizing our aerodynamically efficient Fairing. 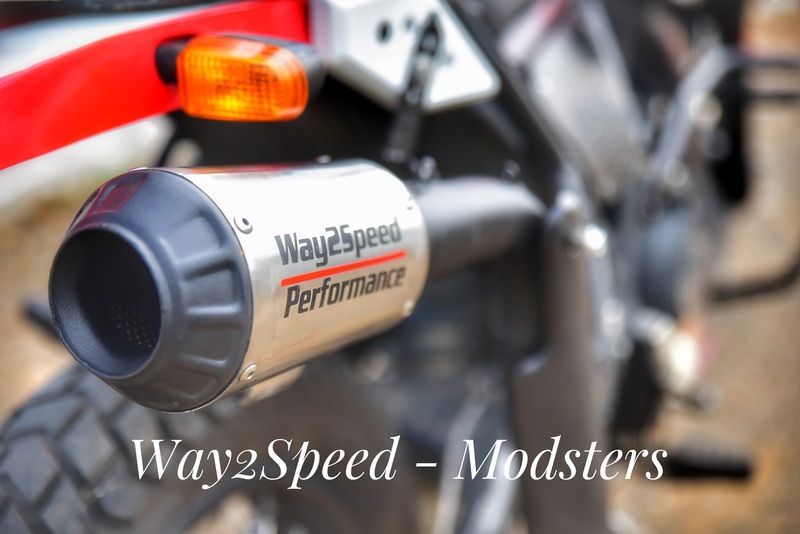 way2speed being a market leader in performance exhaust systems for super bikes , super cars , bikes and cars, we have put in so much of design ideas and latter we converted those ideas into light weight composite components . 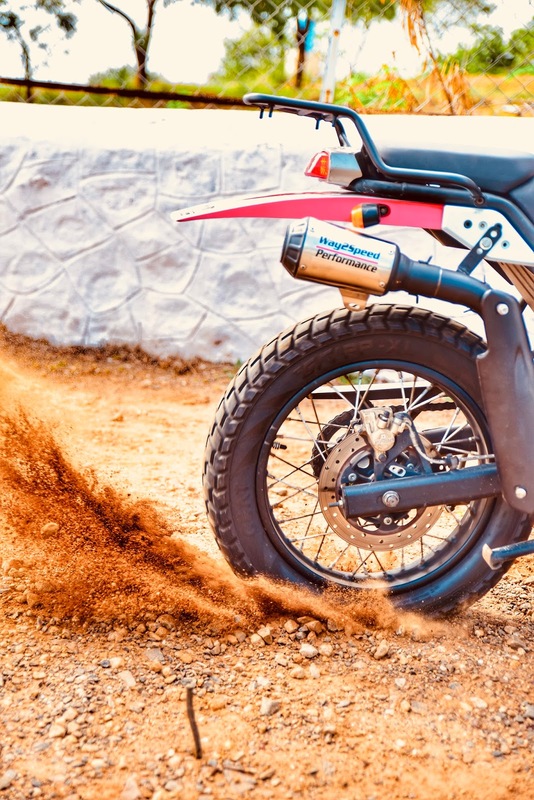 we have increased the height and length of the fenders to suit your off road needs. 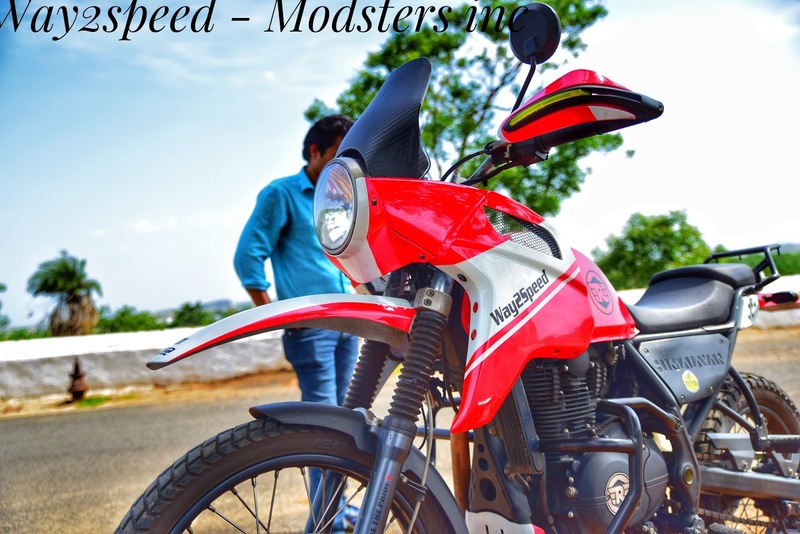 and the front fender is aerodynamically efficient for high speeds on road. overall aerodynamic drag has been considerably reduced. 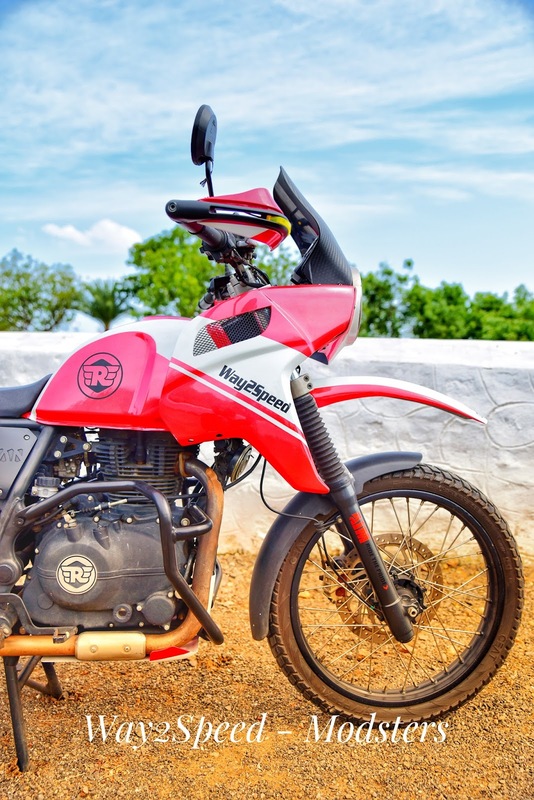 # Custom Royal Enfield Himalayan saddle stay. 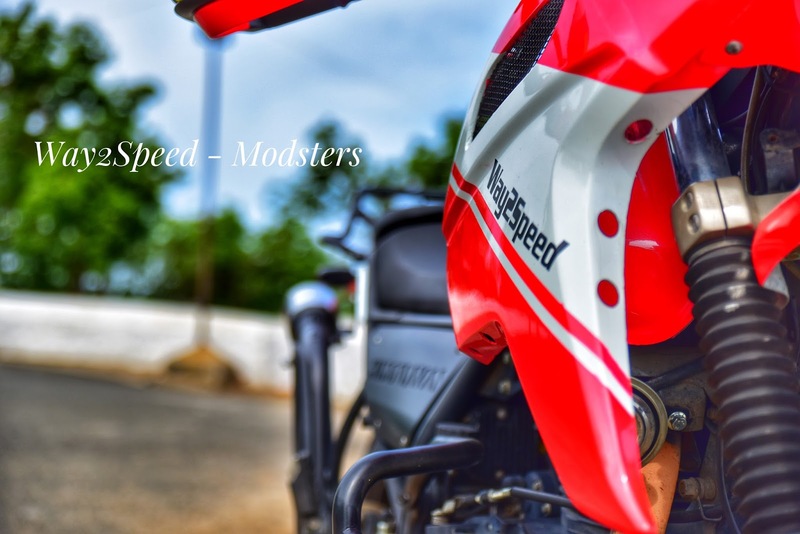 This project was designed and conceived by way2speed and Modsters automotive to celebrate our 5 years business collaboration .